Thinking about transferring to Western Michigan University after your time at Kellogg Community College? 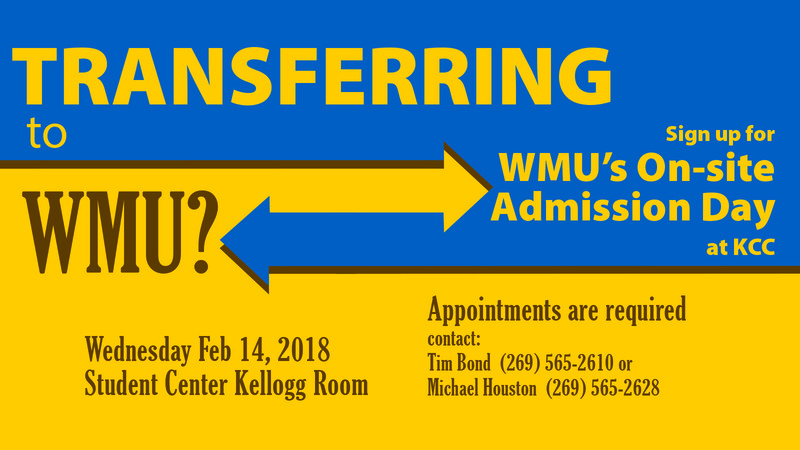 Get your questions answered and complete your first steps to admission during WMU’s On-site Admission Day at KCC! Please note that appointments are required. To sign up and make an appointment in advance, contact KCC Counselor Tim Bond at 269-565-2610 or KCC Academic Advisor Michael Houston at 269-565-2628.